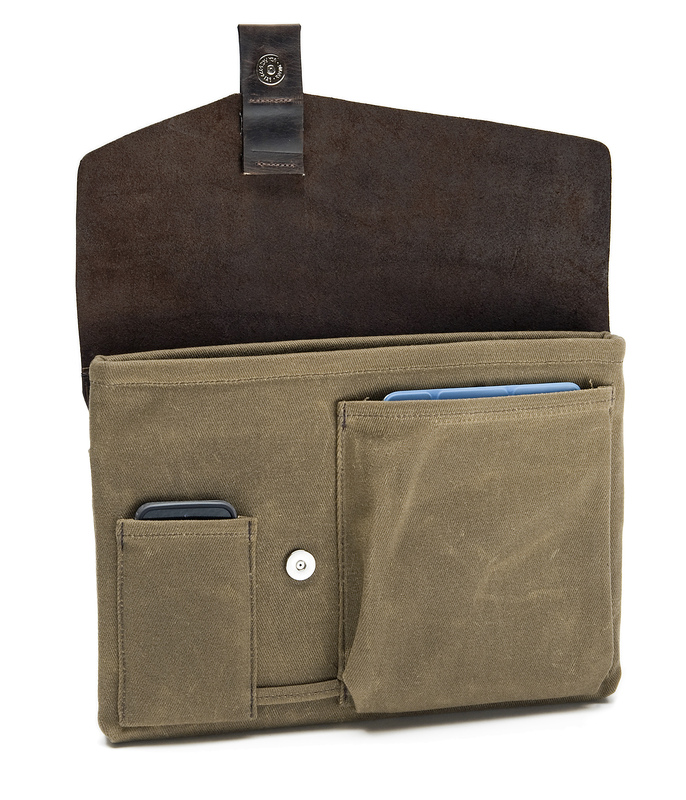 WaterField Designs unveils its popular Outback Solo case for the new, faster MacBook Air 13-inch. The rugged waxed canvas and premium leather Outback Solo looks professional enough for work and fashionable enough for happy hour. The Outback Solo carries everything I need in one place—my Macbook Air, charger, wallet, keys, mints—and is at home in any environment. On the plane, I stash it under the seat so my valuables are close at hand. 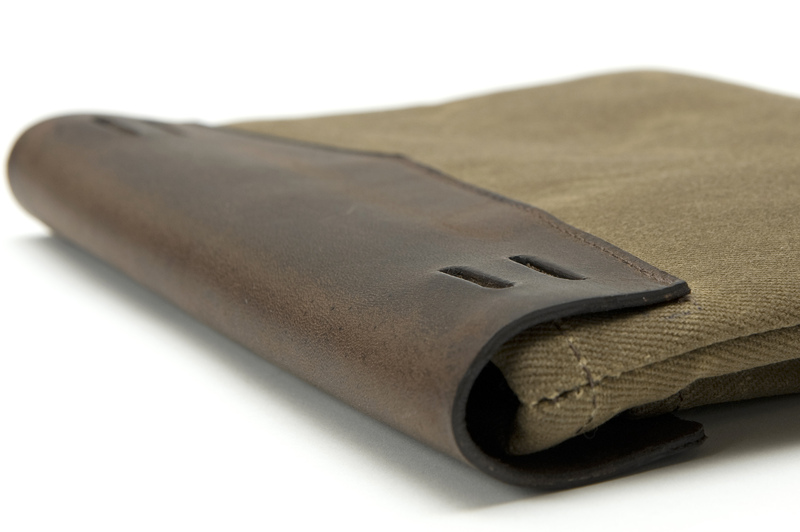 WaterField Designs, a leading San Francisco manufacturer of custom-fitted laptop sleeves, bags and cases for digital gear, unveils its popular Outback Solo for the new, faster MacBook Air 13-inch. The rugged waxed canvas and premium leather Outback Solo looks professional enough for work and fashionable enough for happy hour. The Outback Solo cradles the MacBook Air with two layers of protection—high-grade neoprene enveloped in highly water-resistant, tan waxed canvas. 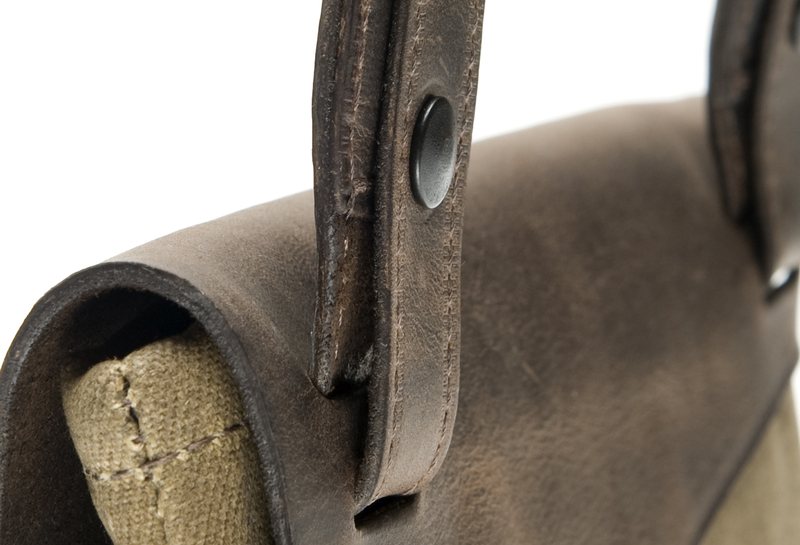 The offset, brown, distressed premium leather flap secures contents with a firm magnetic closure and lends the bag a vintage look. 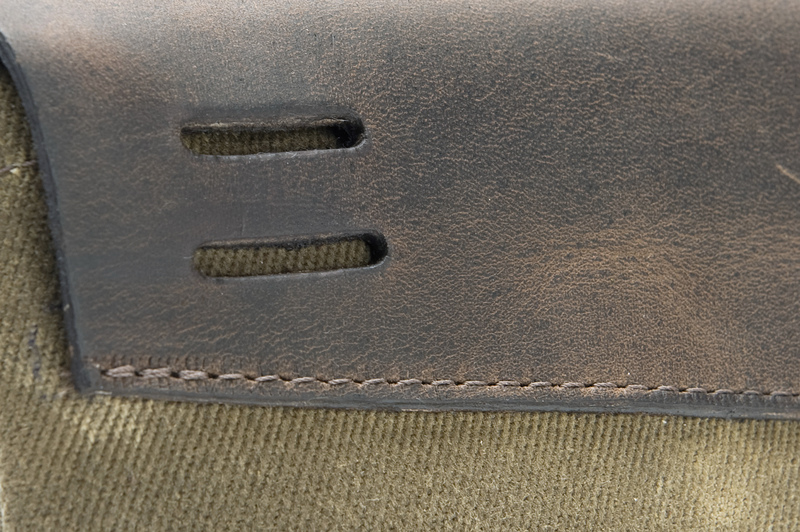 Two front pockets fit a smartphone or iPad Mini, necessities like wallet and keys, and a charger for overnight trips when the new 12-hour battery is not enough. 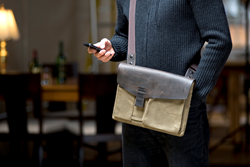 An optional strap transforms the MacBook Air case into a svelte, minimalist over-the-shoulder bag. 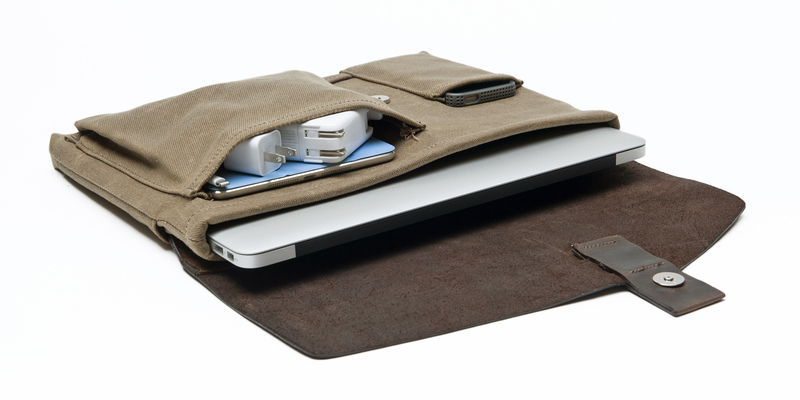 In addition to the Outback Solo, WaterField Designs offers an array of custom-fitted MacBook Air and Retina sleeves, cases, and bags—the SleeveCase™, Outback Sleeve™, Suede Jacket™, and Smart Case™; the Travel Express, MacBook Wallet and CitySlicker™; and the Muzetto™ and Staad Laptop BackPack. Price: $109. Optional shoulder strap: $19. 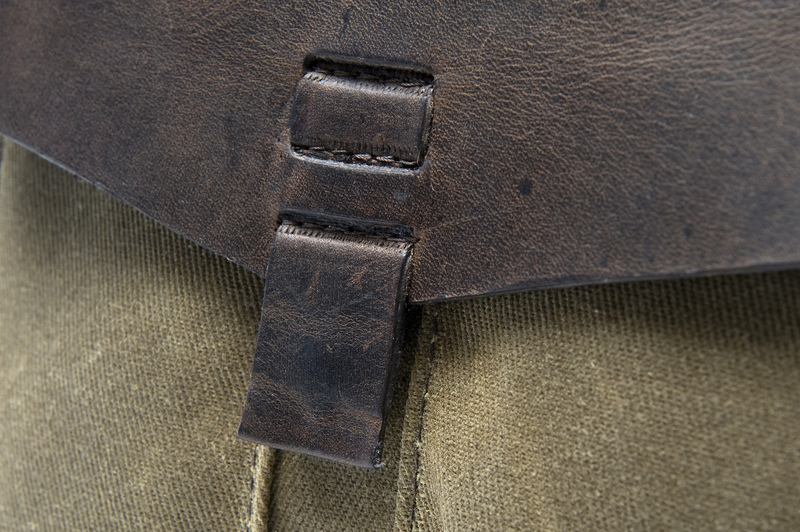 Tan waxed canvas with naturally-tanned, premium chocolate leather flap. Pre-order now. Ships May 16, 2014. 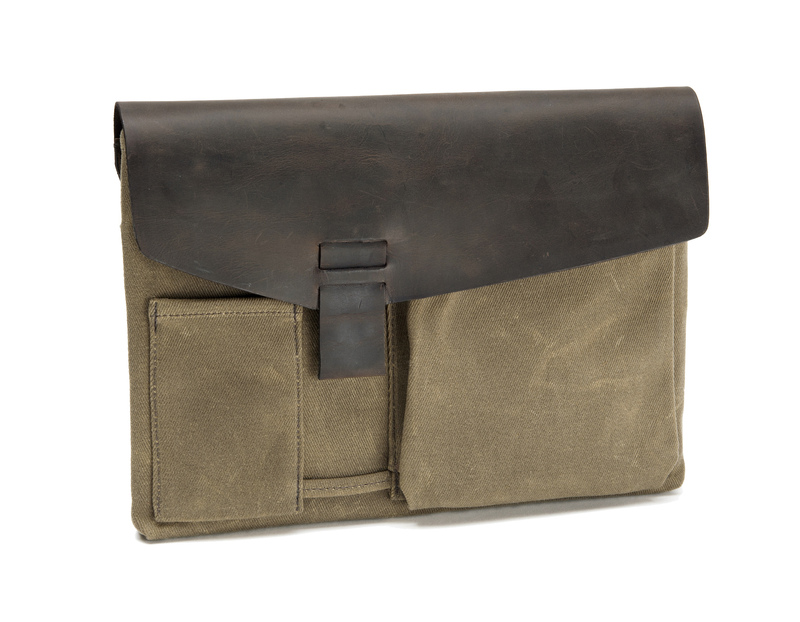 Additional WaterField Designs MacBook Air and MacBook Pro Retina case and bag pricing and availability here.